1st Inaugural Salute to Fellow Designers Competition and Awards 2015 | ComeSeeTv Broadcast Network ... Can you See me Now! 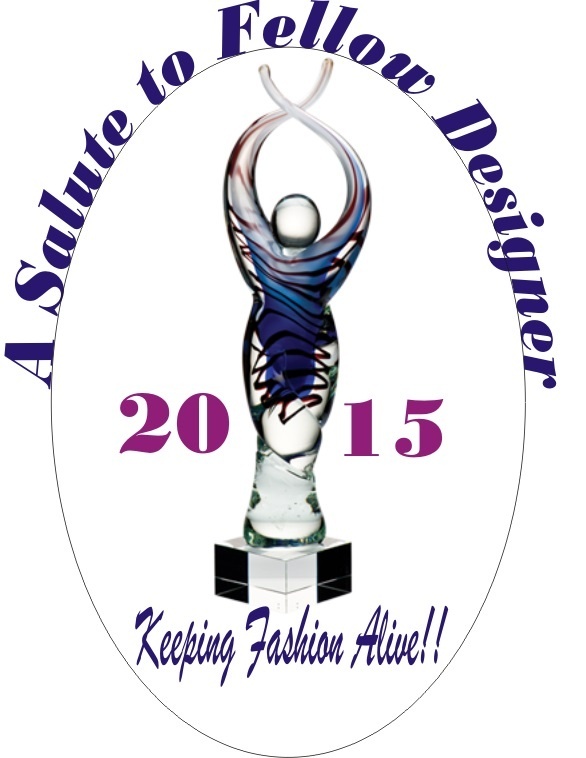 Atlanta get ready for the 1st Inaugural Salute to Fellow Designer Competition and Awards 2015. 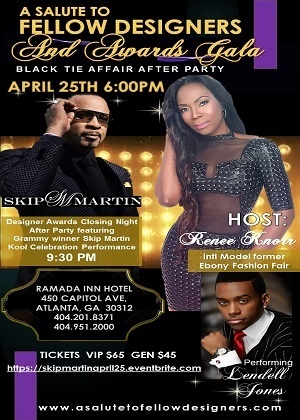 This signature event will feature some of the best designers from Atlanta, New York, Illinois, North Carolina and Texas to name a few and is scheduled for April 22nd – 25th 2015. 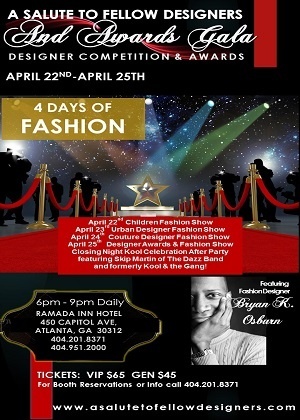 The event will be hosted at the Ramada Inn 450 CAPITOL AVE, ATLANTA GA. 30312. Fashion from both retailer and designer will be shown in a fast pace, live runway show. Guests will be treated to four days of fashion through philanthropy as they view a fabulous display of elegant and high fashion in an array of categories.